We are all about spending the holiday season with our loved ones! There is no better way to celebrate than being surrounded by those you care about most. This girlfriend gathering is no exception! Ricki of la Ricki put together a gorgeous get-together for her friends to exchange gifts, snack on delicious treats, and sip on some holiday drinks. 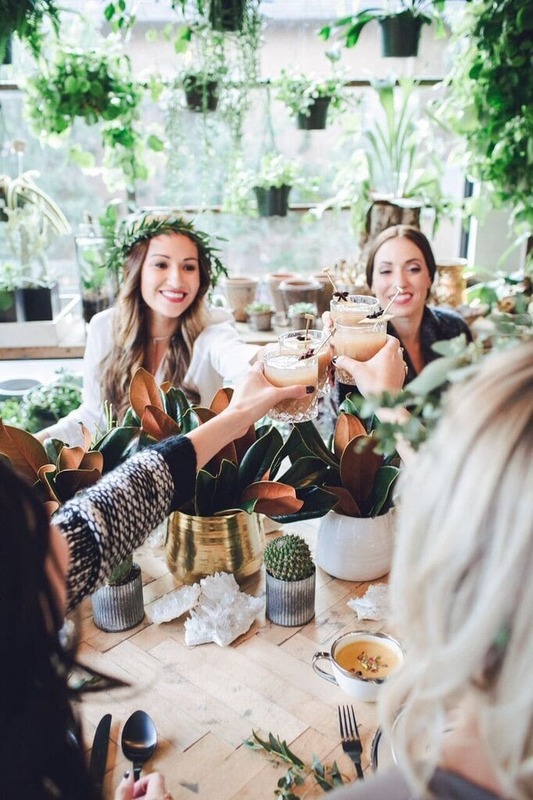 With greenery making up the decor of the party, the gorgeous crowns each girlfriend wore added a fun and natural element! The personalized wrapping paper and details made the gathering feel more intimate, which we absolutely love. Here’s what Ricki has to say below, we can’t wait to throw our own girlfriend gathering and gift exchange!